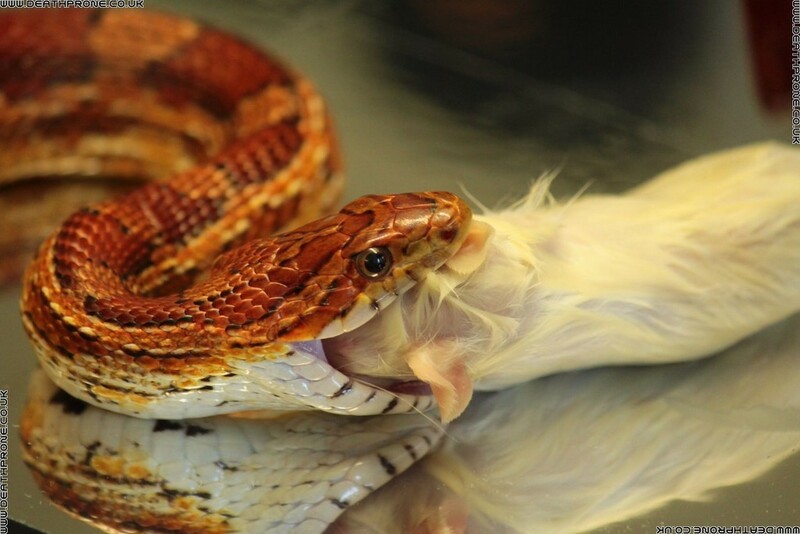 How and what my pet corn snake called Rex eats for her weekly dinner! 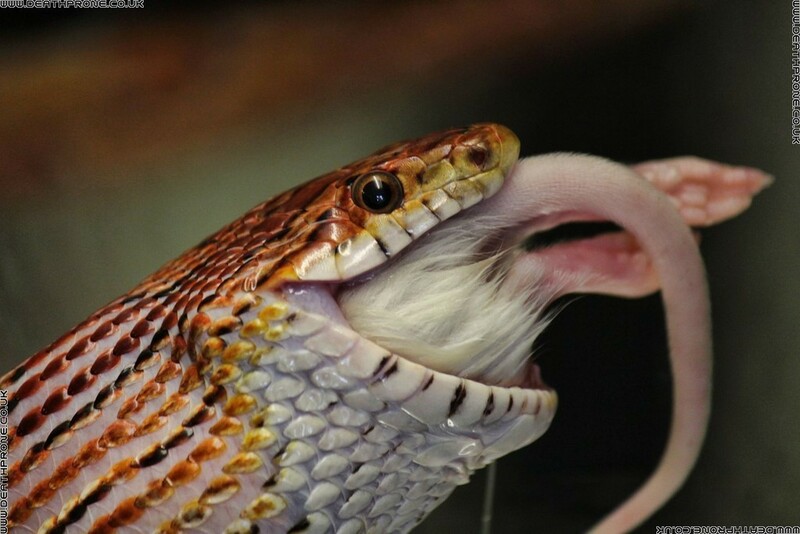 One of the first things friends always ask when they hear I have a pet corn snake is how and what does it eat? 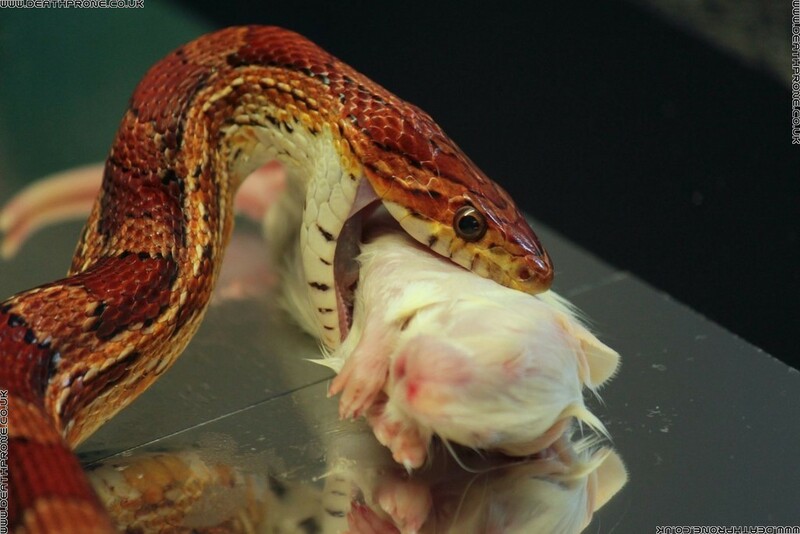 So I thought I would photograph her eating and post the photos on here, if you don't like snakes or rats I'd advise pressing the back button!!! 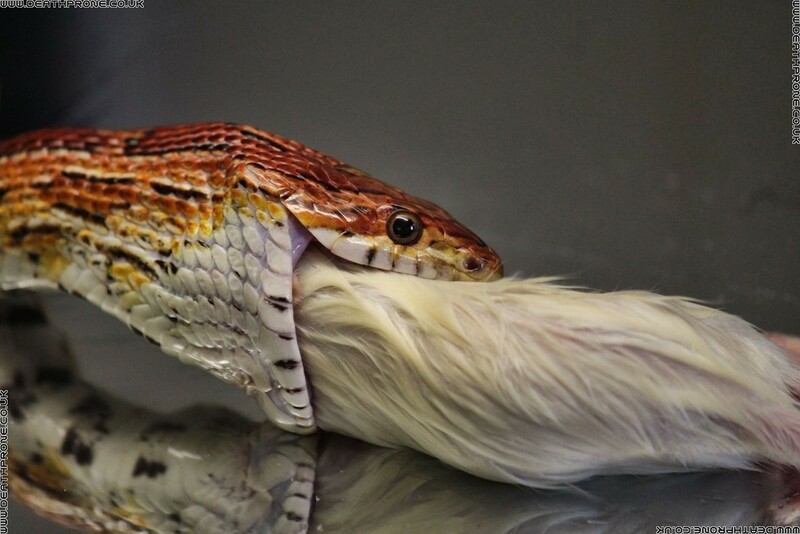 Rex is a 5 foot long, 17 year old Corn Snake and her usual diet is weaner rats (baby rats basically), I have to buy them from the pet shop (most around here charge between £1.00 and £1.50 per rat) and they come frozen, so you just have to thaw them out and warm them up a bit before serving one every week! 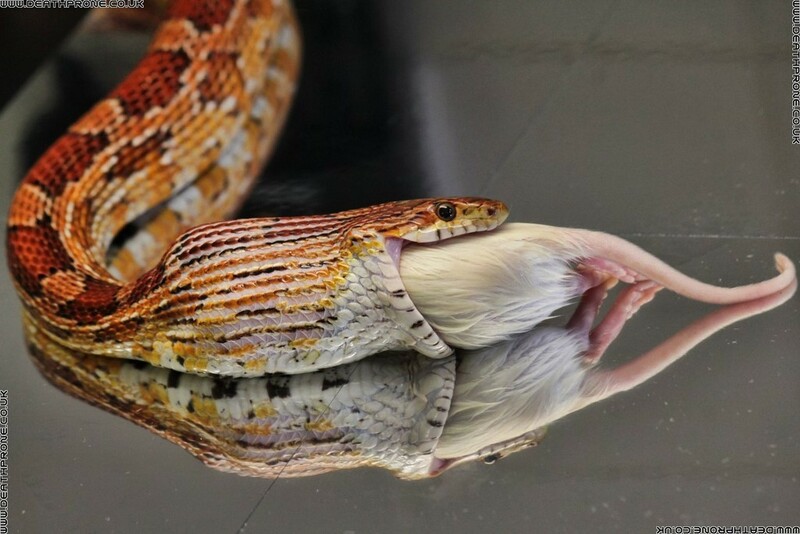 It's not always easy to do, the rats are very cute, but the way snakes can eat such huge food in comparison to the size of their heads is fascinating and well worth watching. These 8 photos show the stages, from first finding the food, right through until the lump moving down her belly. 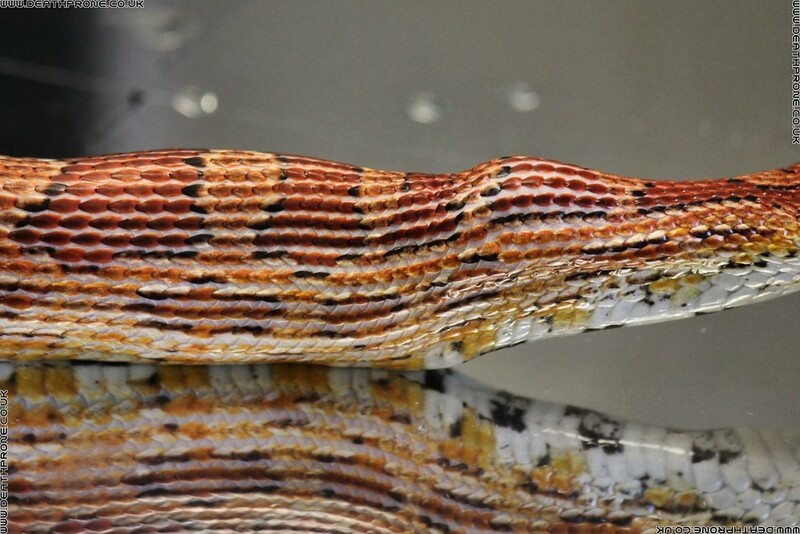 Corn snakes make great pets, if you are looking for a first snake to own then I would highly recommend them, just make sure you are willing to feed them. 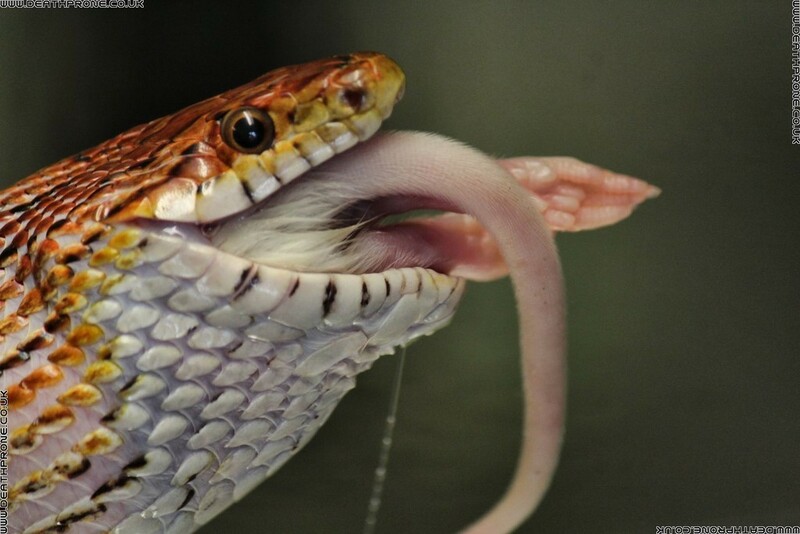 One small word of warning, in 15 years of having my corn snake she has only gone for me once and that was my mistake! I had been handling her food and then reached into her vivarium without cleaning my hands and so my fingers must have smelt just like rats, luckily I have fast reactions, so she missed! 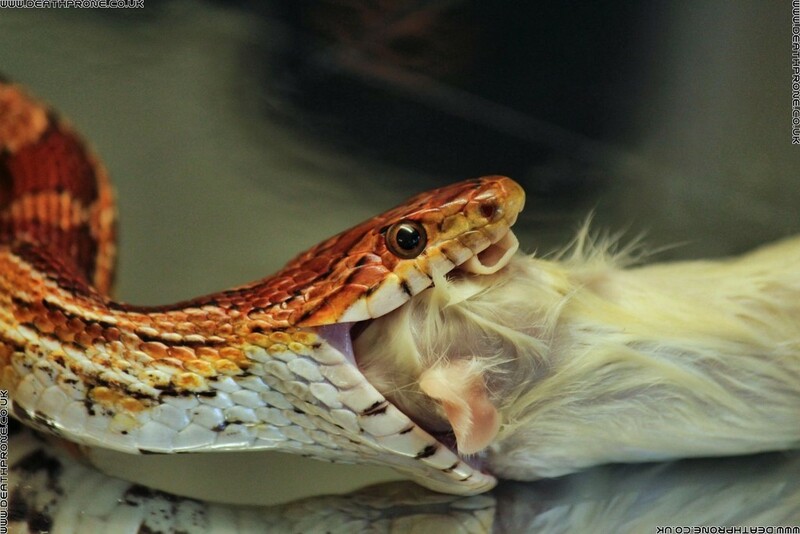 Corn snakes are not venomous, they are constrictors, meaning in the wild they crush their prey before eating it, so a bite could hurt, but would not cause you any serious health problems, the best way to make them let go if they do bite is to put their heads under water!